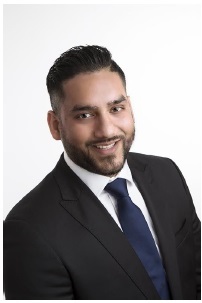 Having qualified as a dentist in 2008, Dr Adeel Ali is passionate about caring for his patients and advancing his understanding and knowledge of oral medicine. His energy and drive for achieving excellence has resulted in him becoming a leader in the specialist field of implant dentistry. Dr Ali has trained under some of the most prominent professors in dentistry and throughout his career he has sought to further his skills and develop his practice to the highest possible standards. Within a relatively short time he himself has progressed to the position of trainer, mentor and lead practitioner. Whilst studying at Kings College London, Dr Ali discovered a love for the artistic side of dentistry. By the fourth year of his studies, he was spending hours in the lab blending his scientific knowledge with the practical and aesthetic aspects of dentistry under the guidance of his teacher and mentor Dr Roy Heaton. Upon graduating, Dr Ali worked under the esteemed dental implant surgeon Dr Balwant Vekaria, a renowned lecturer and globally recognised expert in the area of implant surgery. Through further study and observing the complex surgical treatments carried out by Dr Vekaria, it was at this stage Dr Ali chose to specialise in implant dentistry. He was fascinated by the immense impact this restorative work had on patients’ physical and emotional wellbeing and wanted to contribute to enhancing and improving the specialism. a pioneer in implant dentistry who invented the sinus bone graft procedure in 1975. Dr Ali has since carried out many surgical procedures alongside Professor Tatum and has learnt the innovative sinus grafting technique himself. Dr Ali is now considered one of the most experienced users of Osstem implants in the UK. He utilises both this and the Ankylos implant system when treating his patients and when mentoring dental professionals seeking training in implantology. Currently, Dr Ali is the Dental Implant Lead at Dental Care Group and carries out implant procedures for ten practices. Although dedicated to his work, outside of the practice, Dr Ali is a committed husband and father-of-two. Having grown up in a close family unit, Dr Ali adores spending time with his children and believes that family life is key to leading a happy personal and professional life.